Today, while running around the UL campus for final year project demonstrations, the light fantastic stopped me in the stairwell. Last year, I saw it the 6th of March. 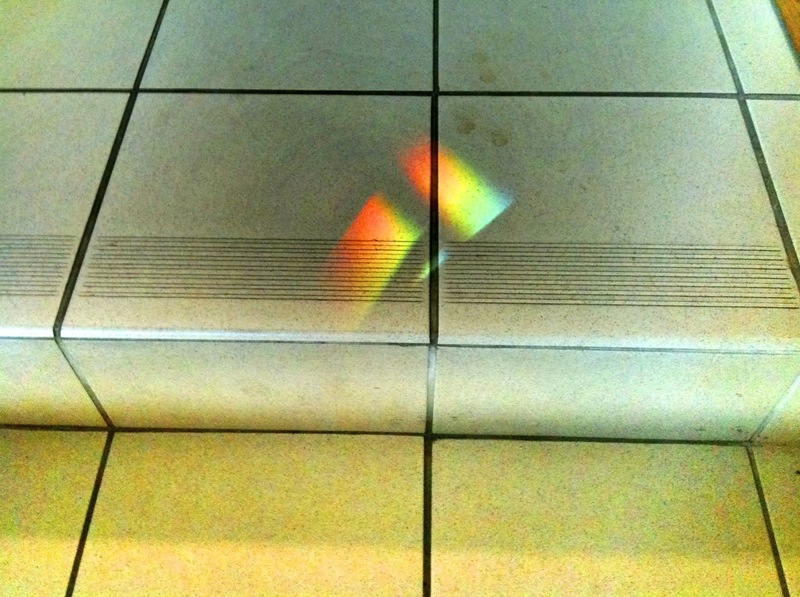 Seeing a full spectrum slowly moving across a floor or a wall, and trying to figure out where the perfect angles and refractory indices are (in this case a window in the UL’s Engineering Research Building) still fascinates me. Let’s hope the sunshine continues and that spring eventually decides to stay.